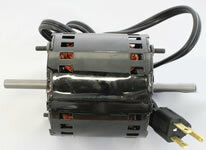 Lot-O-Tumbler Parts - Barrel, Motor, Fans and Springs. 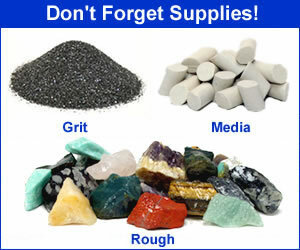 We sell replacement parts for the Calway Lot-O-Tumbler single and twin. Motors, fans, springs, barrels and barrel caps. 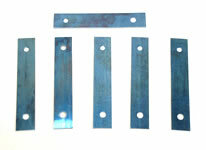 Replacement springs for the Lot-O-Tumbler are sold in sets of six. The Lot-O Single has six springs (four in the back and two in the front). The Lot-O Twin has twelve springs (eight in the back and four in the front). You will need two sets if you are going to replace all of the springs on a Twin. 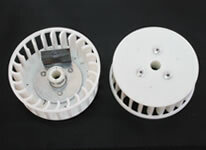 Replacement fans are sold in pairs and have the counterweights mounted within the fan. When you replace a pair of fans be sure that the counterweights are in matching positions on each side of the machine. These fans work on the Lot-O-Tumbler Single and Twin. This is the red cap that goes on top of the Lot-O-Tumbler barrels.